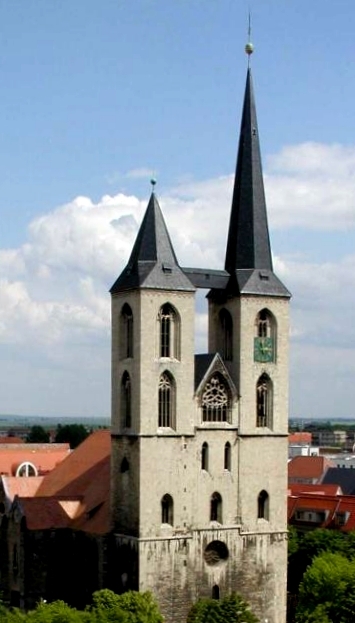 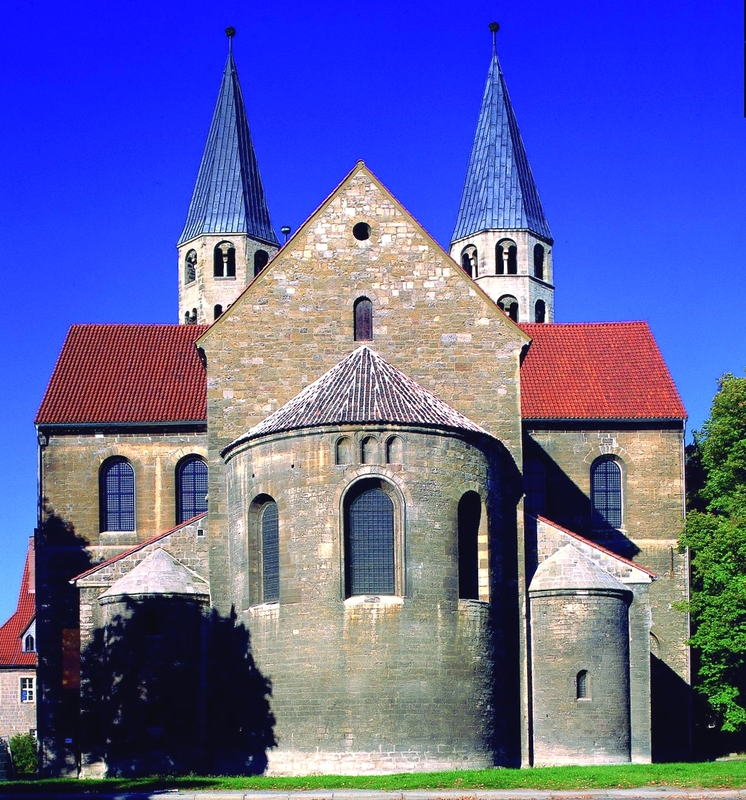 halberstadt's historic churches were damaged yet survived the many bombings and were restored after the war. 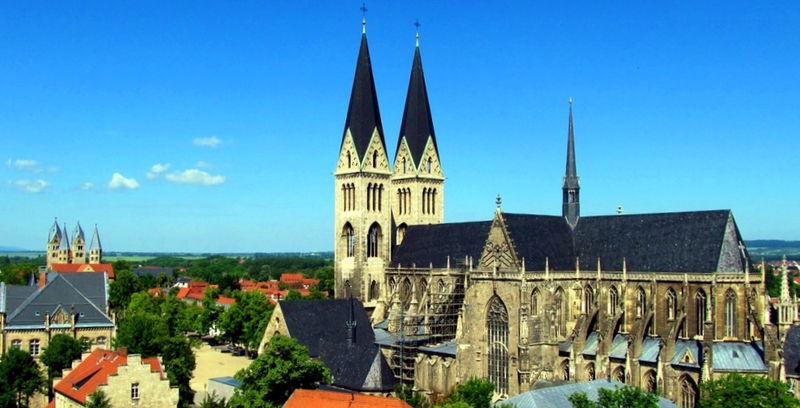 the most-known building is the cathedral, built between 1236 and 1491 in gothic style. 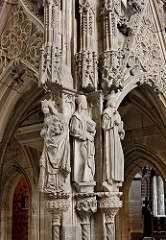 it is 102 m long, and inside 27 m high. 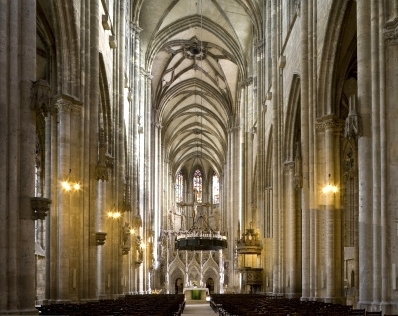 given it was less often rebuilt or modernized than many other churches, its style is very coherent. 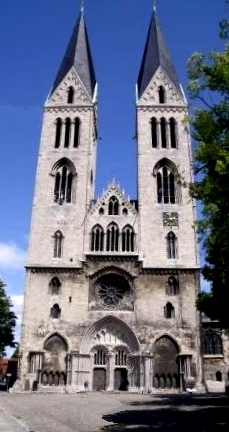 further medieval churches are: liebfrauenkirche and st-martini, which has a rather unusual connection between its towers. 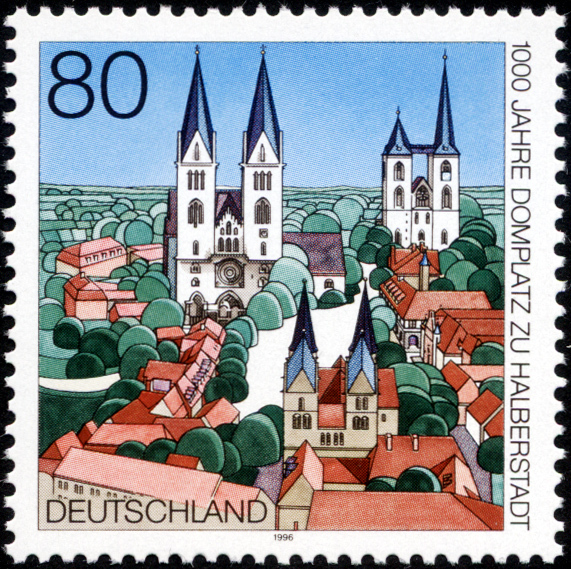 in 1996, these three churches were even presented on a postal stamp!